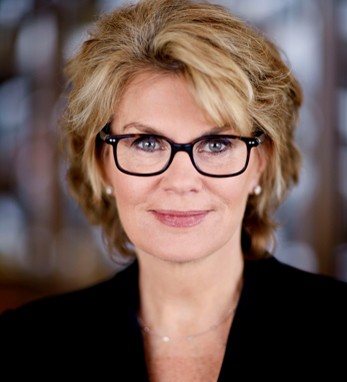 Anne M. Finucane is vice chairman at Bank of America and a member of the company’s executive management team. She is responsible for the strategic positioning of Bank of America and oversees the public policy, customer research and analytics, global marketing, communications, and corporate social responsibility efforts for the company. Finucane chairs the global Environmental, Social, and Governance Committee at Bank of America, which in July 2015 announced a $125 billion environmental business initiative. She also chairs the Bank of America Charitable Foundation, including its 10-year, $2 billion charitable giving goal. She also oversees the company’s $1.2 billion Community Development Financial Institution portfolio and helps manage Bank of America’s 10-year, $1.5 trillion community development lending and investing goal. Active in the community, Finucane serves on both corporate and nonprofit boards of directors including the American Ireland Fund, Carnegie Hall, the National September 11 Memorial & Museum, the John F. Kennedy Library Foundation, CVS Health, Brigham and Women’s Hospital, and Special Olympics. She also is a member of the Council on Foreign Relations. She has roots in Cork on both sides of her family, most notably through her grandfather, who came to the United States as a young boy.